The Six-Party Talks are looking hopeless, says Minxin Pei. It’s time for policymakers to start planning for the worst. Now. The motives behind North Korean leader Kim Jong-il’s ‘unofficial’ visit to China last week may not be that hard to decipher. Most analysts suspect he went to see his most important patron to seek more aid and, in all likelihood, his Chinese patrons would have thrown a bone or two to him to bribe him back to the increasingly meaningless Six-Party Talks. But if the stakeholders in East Asia’s peace and stability focus their attention on whether China’s prodding will lead to a more fruitful outcome in dismantling North Korea’s nuclear weapons programme this time, they’re simply wasting their time. Pyongyang’s record on this issue speaks for itself: North Korea has no intention of honouring its commitments to the Six-Party Talks or abandoning its nuclear capabilities. Judging by recent developments inside North Korea, however, clinging on to its nukes may not actually help prolong Kim Jong-il’s regime. The country’s unfolding economic catastrophe has clearly taken a toll on the regime’s legitimacy and durability—only the most desperate governments in history have resorted to outright confiscation of its people’s money. Seasoned analysts have also reported rising popular resentment against Pyongyang. Thanks to the sanctions imposed by the United Nations and other efforts to weaken Kim Jong-il’s regime, North Korea has failed to blackmail the international community into supplying more economic assistance. More importantly, the Kim Jong-il regime, which has become a classic family dictatorship, is about to face its most difficult test of survival: succession. 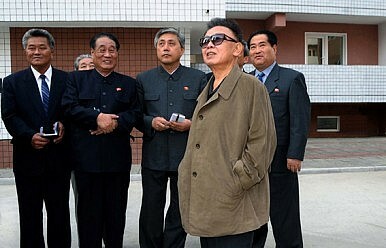 Stricken by a stroke not too long ago, Kim Jong-il is in frail health and his hold on power is certain to weaken. He appears desperate to install his 27-year old son, Kim Jong-un, as his successor. Unfortunately for the Kim dynasty, this process is likely to end in failure. A review of transfers of power in modern family dictatorships (excluding traditional monarchies) shows that the chances of a successful succession from the first-generation dictator to his son are roughly one in four, and no grandson of a first-generation dictator has ever succeeded in taking over a regime and consolidating his power. Of course, the Kim dynasty may set a precedent. But given the worsening economy, the inexperience of the putative successor and the unknown reliability of the Korean military and security forces in the event of Kim Jong-il’s death, the rest of East Asia should be prepared for a scenario of rapid collapse in North Korea. Pyongyang appears to have shunned Moscow's attempts at direct engagement. Can North Korea Have Soft Landing?Assessing North Korea’s 'Ground Game' with ChinaNorth Korea: The Problem with Reconciliation Via EngagementChina and North Korea: New Thinking, Old PoliciesNorth Korea: To Talk or To Provoke?